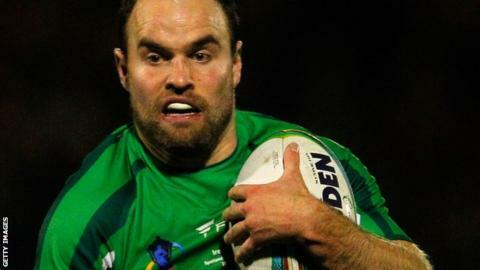 Castleford Tigers have made their ninth pre-season signing with the capture of Ireland captain Liam Finn. Finn has left Championship side Featherstone and the 30-year-old joins for the start of the 2014 season. "I'm flattered and extremely grateful that a great traditional club like Castleford, has given me the opportunity to play in Super League again," Finn told the club website. "He is an outstanding player," said head coach Daryl Powell. "Liam has been a standout performer in the Championship for the last four seasons. I am supremely confident he will do well in Super League as a result of his professional attitude and skill sets." Finn had a spell in Super League with rivals Wakefield Wildcats a decade ago, before going on to score 1,484 points in two spells at Featherstone. "I didn't take my chance last time and it has been a long road back," Finn said. "I want to prove to the clubs, and to myself, that I am more than capable of being a quality Super League player."